This restaurant is one of those places that adds a special concept to differenciate themselves from other competitors… they add girls dress in short orange shorts in a casual dinning atmosphere. 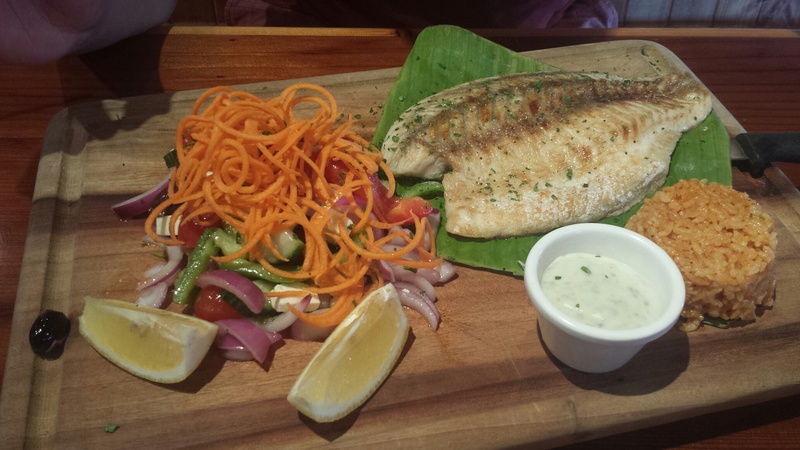 I think they’re overrated, but don’t get me wrong the’re service is ordinary but the food there is just so filling! In my opinion, it’s a place catered to blokes, beer and more blokes. Moving on, this place has a moderately sized bar in the middle of the restaurant with high tables and booths surrounding it, making it really spacious for customers and waiters. It’s a good place just to chill and have loud conversations or just having a drink after work (though the location is the middle of a main road, so it’s sometimes difficult to enter). 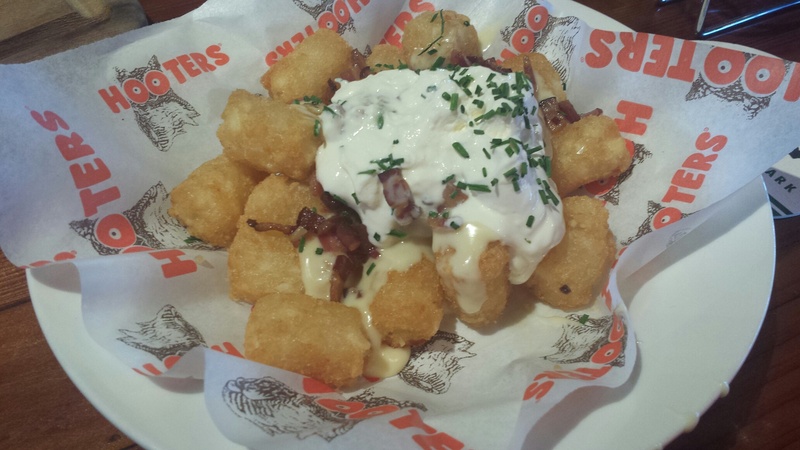 Starter: Lots-a-tots $9.95 – I’m craving for this at the moment, the tater tots is covered by small cuts of bacon, cheese sauce, sour cream and chives (very memorable). 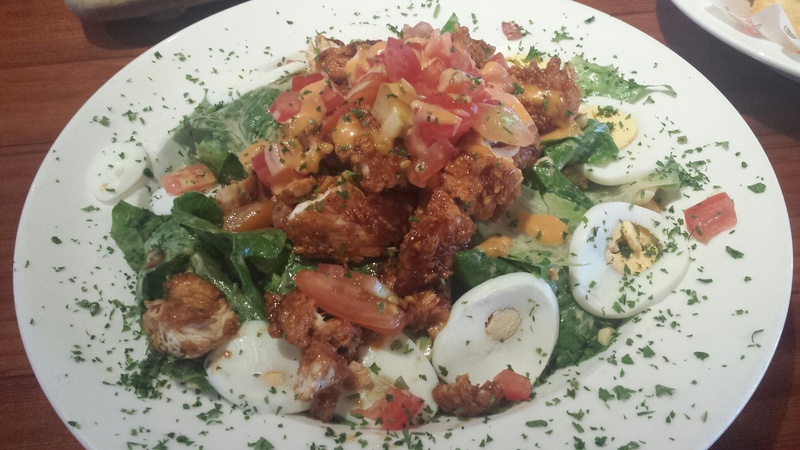 Hers: Hooters Cobb Salad$18.50 – I didn’t expect it to be this large, has yummy croutons, bacon, cheese, crunchy fried chicken, tomatoes and eggs. Fresh! If you want a place to get you filled up, Hooters will be a perfect place. The price range $15 – $50 is decent and I think matches perfectly with what they offer.